I've always been fascinated with Cuba. I hope someday to travel there. In the meantime, I read up what I can about the island and its people. This is both a memoir of the author's stay in Cuba in 2009-2010 as well as the contemporary history of Cuba. 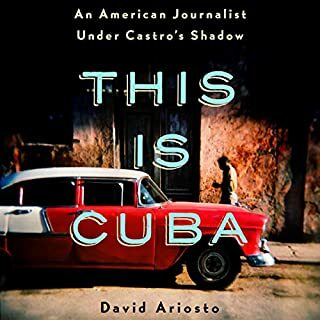 David Ariosto interviews the Cuban commoner and tells us their personal story of the shop vendor, the maid, the taxi driver, the dissident in Miami. Ariosto knows the island well and interjects the listener with history and how it relates to Cubans today. My only complaint is that he speaks rather fast at times, but you do get used to the pace. 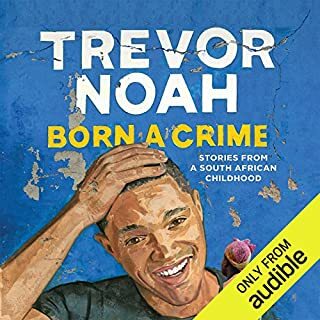 Trevor Noah grew up in South Africa as a child of a black mother and a white Swiss-German father. Despite apartheid, she raised Trevor as an equal, learning English when most blacks did not. Apartheid forbade him from being openly around his white father, forbade him from publicly calling his father "dad." He didn't see his father much as a child. His talent for languages and dialects and his determination to get out of South Africa is a story worth listening to. Raised by strong women in a country that was still discriminating against its black citizens, he was raised with a strong faith. He knew at a young age that black and white people were treated differently. There are some painful passages to listen to, because of the abuse he is describing. Trevor is proof that one can rise above poverty, injustice and abuse to a respectable person in an appreciative society. 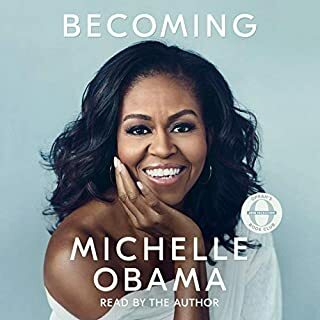 Michelle Obama narrates her own story with honesty and emotion. You can hear her choke back tears describing the loss of her first pregnancy, the loss of a close college friend, the death of her father. You can also feel her anger at trump for promoting the birther movement. Her love for her husband, daughter and mother is obvious. Listening to this story was like having the First Lady in my own home, telling me her personal story of how her life was like, how campaigning for her husband was like, how living in the White House and being exposed to public scrutiny was like. I also like her story about President Bush and his wife Laura and their unlikely friendship. I enjoy presidential memoirs and those of their family, and this memoir is one of the best.